It’s basically my gardening arch-nemesis. 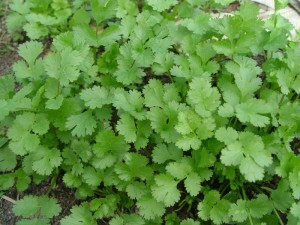 I plant cilantro and all I get is coriander*! 2014 was my third attempt at growing cilantro, and I thought I had it figured out. In a previous attempt I had planted it and the tiny little seedlings shrivelled up and died in a matter of minutes on a particularly scorchy late spring day. So this time I planned to start them ahead and transplant them out early, as soon as the garden was ready. I also planned to sock the water to them to keep them from scorchifying. Unfortunately, the garden wasn’t ready until the second week of June. Though there was no part of 2014 capable of scorching anything the cilantro nonetheless highly resented its plant-out being delayed. It bolted immediately (hence coriander). Instead of treating the problem with a stick of dynamite – a thought that crossed my mind – I opted instead to ignore that area of the garden (we’ll call this the “laziness gambit”) and see what happened. The heat of the mid-summer baked the coriander to death and caused the seeds to drop amongst the withered plants. In the late season, as the days were starting to cool and the planted-for-fall vegetables were beginning to ripen, the scent of cilantro began to fill the garden air. It’s not a smell I enjoy. But, lo and behold: I had grown cilantro. Well, I’m taking credit for it, anyhow. At market it’s one of the most asked for items when people come to the table and see that I have other herbs. 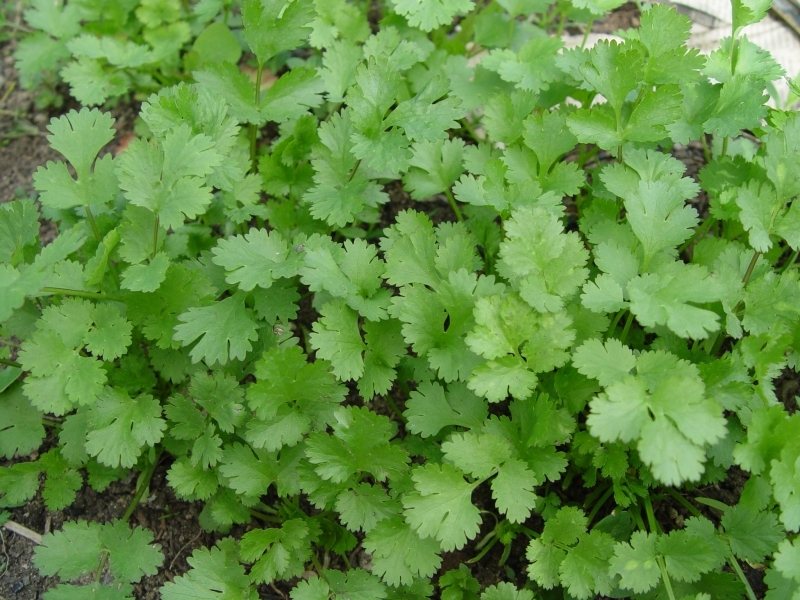 I’m hoping that in 2015 I’ll be able to replace my tales of cilantro-woe with bunches of bright green, fragrant cilantro. Do you grow cilantro? If so, what’s your secret? * – That’s a gardening joke; they’re the same plant. Plant in ground from seed, and harvest whole plant when ready – make sure to keep planting as the days go on so you always have plants ready to go every week. I always get behind on my cilantro use/planting. I have tried growing Cilantro in pots here on the island and in Florida. Does not like the heat I have found. Does a little better in the shade in Florida, but still not great here on AI. Tried from seed this year, but not good in the pot. May try in the ground next summer. I love Coilantro, both the smell and taste for Mexican food, which is essential for Guacamole and Salsa.